Carnival Splendor will offer a 14-day Alaskan adventure round-trip from Long Beach, California, featuring sites such as Hubbard Glacier and a day-long visit to Icy Strait Point, an unspoiled wilderness area offering some of the best whale and bear watching in the state and the world’s longest zip-line. 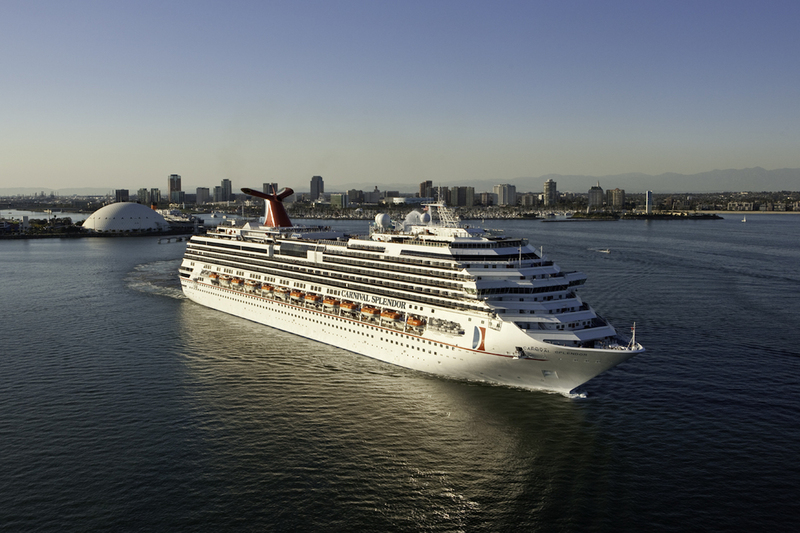 The voyage will depart Long Beach on August 25 and return September 8, 2018. In addition to a full day at Hubbard Glacier and Icy Strait Point, the 14-day cruise will feature the destinations of Ketchikan, Skagway, Juneau and Sitka, Alaska, along with a day-long call at Victoria, British Columbia. A variety of shore excursions – from helicopter flightseeing and rainforest canopy tours to hiking, canoeing and kayaking expeditions, and alpine lake snorkeling – will also be available. The 14-day Carnival Journeys Alaska cruise will also feature unique onboard experiences where guests can enjoy local cuisine, entertainment and cultural opportunities within the various ports of call. Activities focusing topics such as photography, cooking and arts and crafts and a 1980s-themed Throwback Sea Day will be offered, as well. Guests aboard can also enjoy the ship’s features and amenities, including a classic American-style steakhouse, the Cloud 9 Spa, and a retractable dome covering the main pool area that also houses the ship’s Seaside Theatre LED screen. Kids can enjoy supervised programs catering to three age groups – Camp Ocean (2-11), Circle “C” (12-14) and Club O2 (15-17), along with activities that are part of Seuss at Sea, an exclusive partnership with Dr. Seuss Enterprises.